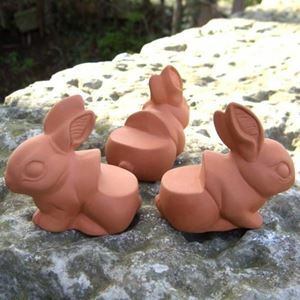 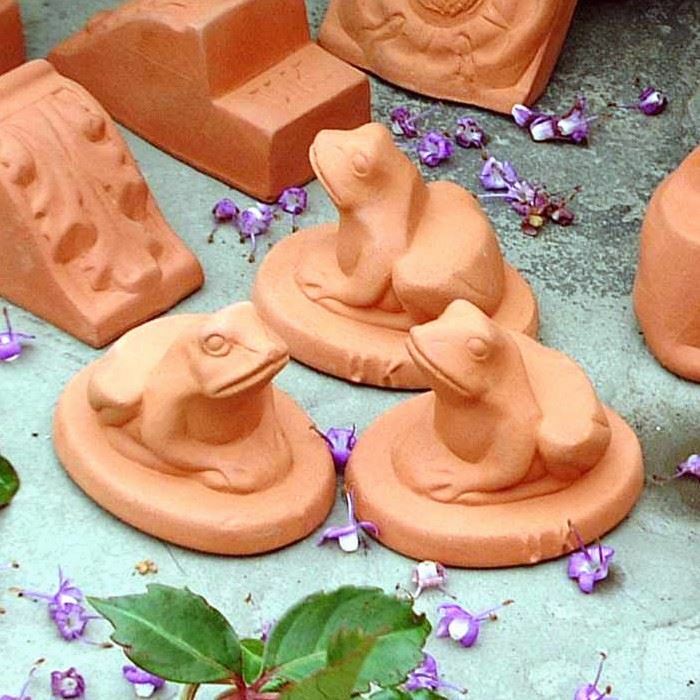 These terracotta frog pot feet are not just a decorative feature, they are practical too. 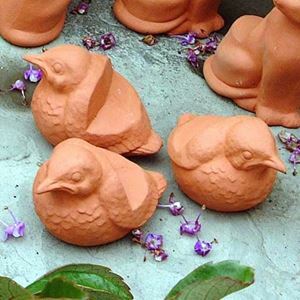 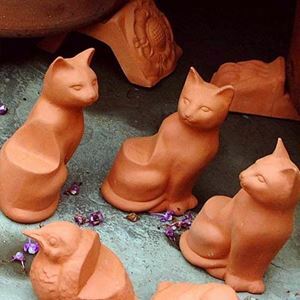 Terracotta pot feet ensure adequate drainage of flower pots, which helps prevent water-logging which could damage flower pots during freezing days & nights of winter. 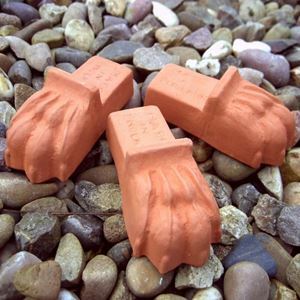 Available in sets of 3 pot feet, which is all you'll need for stability, like a tripod.